Temple University and the Philadelphia Department of Public Health announced Thursday they will be opening two clinics next week to provide free vaccines amid an outbreak of mumps. Temple University and the Philadelphia Department of Public Health announced Thursday they will be opening two clinics next week to provide free vaccines after an outbreak of mumps has spread to 86 students over the last month. The walk-in clinics will be held on Wednesday, March 27, and Friday, March 29, from 9 a.m. to 4 p.m. in Temple’s Mitten Hall Great Court. All Temple students, faculty, and staff can get a dose of the measles, mumps, and rubella (MMR) vaccine at no charge. Mumps is a contagious viral disease. Common symptoms include swollen salivary glands, fever, headache, muscle aches, and loss of appetite. While serious complications are rare, especially in people who were vaccinated as children, mumps can cause inflammation of the brain, deafness, or sterility. It’s typically spread by sharing food, drink, or living in close quarters. The outbreak at Temple began in late February, just before the school’s spring break. As of Thursday, the Philadelphia health department reported 16 confirmed cases of mumps and 70 probable cases; 82 are in the city, the other four from surrounding counties. None of the students has been hospitalized. One confirmed case and one suspected case have been reported in Chester County and Montgomery County, respectively. A student at West Chester University has a confirmed case of mumps, school officials said Thursday. The student reported symptoms on Monday following a visit to Temple, and has been told to remain at home since. The student lives off campus, university officials said. The Chester County Health Department is expected to contact the student’s roommates to recommend booster shots of the MMR vaccine. No other West Chester students have reported symptoms. In a letter to parents, Abington Senior High School said a student there had a suspected case of the mumps, 6ABC reported. The letter said the Montgomery County Office of Public Health is investigating and it urged parents to make sure their children are up to date with their vaccinations. U.S. Sen. Bob Casey (D., Pa.) announced he would postpone a town-hall meeting that was scheduled for Saturday at Temple. He acknowledged the risk to the wider community is low, but said he was taking the step to be cautious. Health officials say it’s unlikely someone could catch mumps simply by visiting campus. Mumps is typically spread through saliva among people living in close contact. Even riding a train with an infected person is unlikely to spread the disease. Most of the students at Temple with symptoms had been vaccinated, said James Garrow, a health department spokesperson. Since the outbreak, Temple announced a new policy that will require all incoming freshmen to be up to date on the MMR vaccination series. Previously, the university did not require immunizations for admitted or enrolled students. 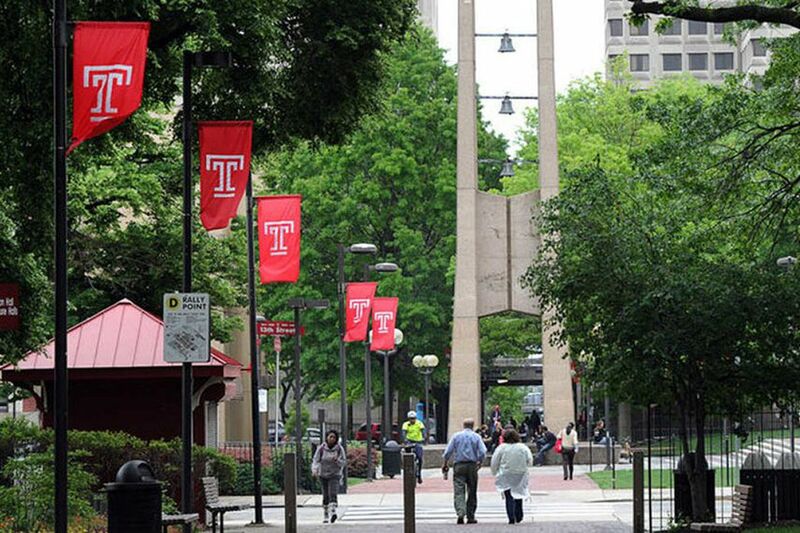 Some students are petitioning Temple to temporarily close the university to prevent more students from getting the virus, but the university is not considering it because health officials say it wouldn’t help control the outbreak. The U.S. Centers for Disease Control and Prevention recommends children get two doses of the MMR vaccine: the first at 12 to 15 months old and the second at 4 to 6 years old. The vaccine is 88 percent effective when someone gets two doses. But there is evidence that its power may fade after 10 years, shortly before students are ready for college. The university has administered 173 doses of the MMR vaccine since Feb. 25, according to a Temple spokesperson. In recent years, there have been a number of outbreaks on college campuses. Researchers at Harvard University have suggested a booster shot for mumps might help protect students as they enter college. As of now, the CDC recommends a third dose only during an outbreak like the one at Temple. People who are vaccinated may get mumps, but their symptoms are less severe. For anyone who is already experiencing symptoms, Garrow said, the best plan of action is to stay home and rest. Limiting contact with others will help prevent the spread of the disease.